Imagine a warm breeze gently drifting through the Glassell Park hills while you relax in a hot tub enjoying a majestic sunset slip below the mountains. This could be your life at 2255 Moss Avenue. 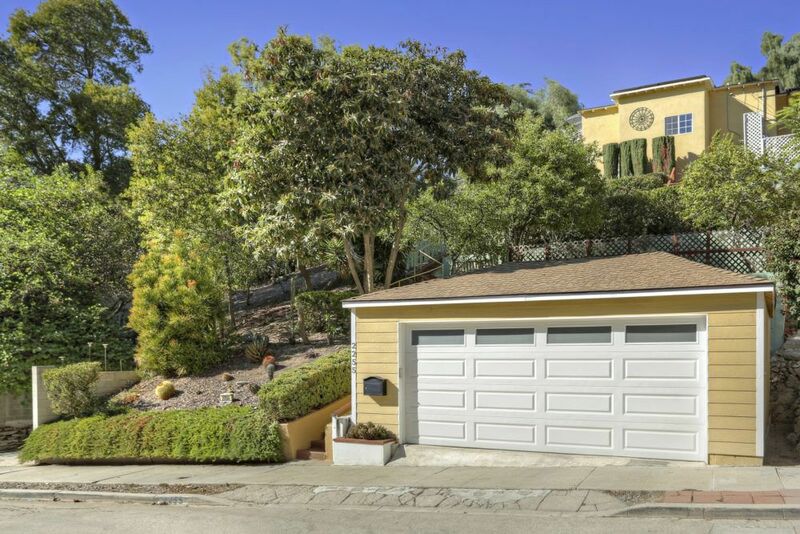 With a lot size of nearly 10,000 square-feet, privacy and tranquility are what this charming 2-bed & 2-bath Spanish home is all about. As you make your way to the front door, you’ll encounter several shady sitting areas. Once inside, you’ll be delighted by the open living room with rich dark floors and direct access to the backyard. The kitchen is bursting with charm as it features a vintage stove, tin tile backsplash and incredible views. The large master bedroom is bright and airy and opens to a private deck. Downstairs is a spacious private bedroom and bathroom that can be used as an office. 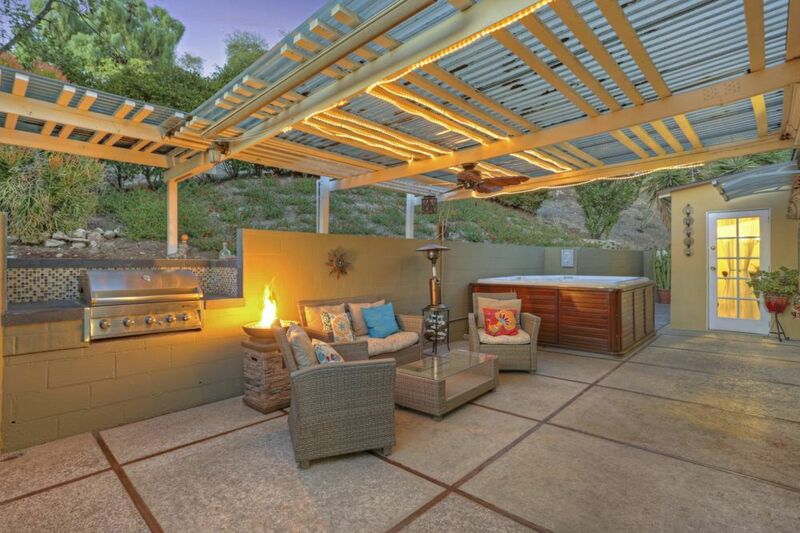 The backyard is an oasis of relaxation featuring a hot tub, fire pit, mounted TV and built-in grill. This is the peace and quiet you’ve been looking for to escape the hustle and bustle of city living.